This essay has a simple message: the world will need far more food and small-scale family farmers can provide that if they become smarter farmers. And they can become smarter farmers if they get access to independent, and pluriform information. The essay goes on to show that all seventeen sustainable development goals can be reached by 2030 if small-scale family farmers in the world (and particularly in Africa, and particularly women) will be the most important focus group for governments and development organisations. This essay also has a second message, that is more controversial: world food production has become a profit-creating domain for a limited number of global agro-multinationals, and they dominate government policies, information streams, and scientific research. Their inputs create dependent farmers, who remain poor, and who are forced to produce food that threatens the environment, enhances climate change, and is not always healthy for human consumption. Instead, small-scale family farmers produce food by using what is called agro-ecological ways of farming, that are more healthy for people, and more sustainable for the environment. And, provided they are getting adequate advice and can use independent knowledge (that is: knowledge not coming from the agro-multinationals) they can increase yields a lot. So much even that farming does not need to use land that is hitherto used for other functions that are important to maintain. This essay is not in the first place meant for academics. The way it has been written is in the form of a pamphlet that tries to convince policy makers, the public opinion, politicians, educationists, and farmers and their organisations. If they can read English. At the African Studies Centre in Leiden we also try to reach these groups of users, and we recently published a few books, articles, thematic maps, info sheets, and policy papers about ‘Agriculture in Africa’. We could show that there are basically two stories that can be told. One is a story where African farming is being compared with farming elsewhere, and particularly in Asia. That story shows how far behind African farmers are, and how farmers elsewhere have indeed succeeded to turn starvation farming into successful farming. That story shows the importance of government policies that have put ‘farmers first’, with strongly increased government budgets for rural development, but also with an enormous increase of chemical fertilisers, irrigation, pharmaceutical crop and animal disease management and the like. And also with a lot of emphasis on the provision of credit, information, roads, and marketing assistance. The other story shows that African agriculture between 1960 and 2010 succeeded to keep pace with the very high population growth in the continent, or even: that on average the African people do have access to more, and more varied food, than fifty years ago. The quadrupling of Africa’s food production in those five decades could be reached by doubling the yield levels, by doubling the cultivated areas, and by producing a lot more meat (particularly chicken), fish and other food from seas, lakes, and rivers. And the most important driver of that success is the growing demand from Africa’s cities. We could show that Africa’s urban population grew from 65 million in 1960 to over 500 million people now; that is from just 20% to 45%. But a lot of that growth was despite Africa’s governments, which did NOT put its farmers first, and mostly even failed to implement the rules that they all adopted, the so-called Maputo declaration, that said that all African governments should spend at least ten per cent of government budgets on agricultural development. We also showed that despite the doubling of Africa’s yield levels for food crops, and the increase of animal production, compared to for instance Asia, Africa is indeed way behind, and much more seems to be possible. And that is a MUST. Africa is the only remaining continent with a very high population growth in the decades to come (although also in Africa a demographic transition to lower fertility levels is taking place now). UN demographers expect that Africa’s population will have grown from the current 1.1 billion people to at least 2.5 billion in 2050 and at least 3.4 billion (but more likely 4.4 billion) in 2100. And Africa’s urban population will probably grow to a level of 1.5 billion by 2050 (that is times three!!!) and at least 2.4 billion by 2100. These mouths will not be fed by Asia, America, or Russia, and certainly not by Europe. Most of Africa’s food consumption will have to come from Africa itself. How? That will be one of the most important strategic questions of this Century. Food production has to increase a lot, has to be healthy, and at the same time has to become more sustainable, and probably based on more agro-ecological methods of production (and more sustainable forms of distribution and consumption). Can small-scale family farms (in Africa and elsewhere) do it? My intuitive feeling is that they can play an important role, if -indeed – they will be provided with adequate information. But as an academic, I also ask myself definitional questions. What does the writer mean with ‘small-scale’? What is a ‘family farm’? And what is a ‘more commercial farm’? In this essay, the answers to these more academic questions are kept implicit, and quite vague. What is also the big HOW question is: OK, if farmers can become smarter farmers by being provided with independent information, how do those farmers get access to that information, and if they KNOW, what can they DO, after making smart decisions? The first big question then is language. An essay in English can’t do much to reach those farmers. Neither can a lot of useful information on a kind of agropedia website if farmers can’t read the agropedia languages, and if they don’t have access to the internet. So a lot more is needed, particularly to reach the poor farmers, in the more remote parts of the world. Vernacular radio and films are important. Good basic education and well-trained agro-smart teachers in primary and secondary education are needed, agro-oriented professional training and education at various levels, and academic agro-oriented professors and lecturers, who put poor farmers first, and who resist the temptation to go for the easy money from the agro-multinationals. Or even better: who design smart ways to combine both. And we need smart reporters, particularly in Africa itself, who play a role in knowledge dissemination, and who can do investigative journalism to show the success stories of smart farmers, and to expose the stories of forms of agro-development that are risky for people and for the planet, and forms of government policies (in Africa, in Europe and elsewhere) that are NOT in favour of rural development, and that undermine and disempower smarter farmers (and particularly smarter rural women) and limit the growth of healthy food production. What this world needs is SMARTER FARMERS. 80 percent of the world’s hungry people are active in farming. If they produce slightly more food, not only hunger is solved, but all 17 UN Sustainable Development Goals. This is the start of the campaign SMARTER FARMERS, which urges world leaders to focus on the empowerment of smallholder farmers by access to independent information. What this world needs, is SMARTER FARMERS. This essay is about the most important people in the world. A group that numbers a vast majority of the world’s citizens, but is nevertheless widely neglected by the public, the media and most important: by the people and organisations who rule this world. This essay is about small-scale family farmers. They are the most important people in the world because they produce 80 percent of all the food on this planet  and almost 100 percent of our healthy food. Western citizens live in a world with too much food. Every year, consumers in rich countries waste almost as much food (222 million tons) as the entire net food production of sub-Saharan Africa (230 million tons).. In rich countries, consumers waste almost as much food as the entire food production of sub-Saharan Africa. In the West, food became such an ordinary consumer good that the vast majority of the citizens no longer realize that food is a matter of life and death. Food is considered plentiful as fresh air, water and electricity. People don’t think about it. It’s always there, it’s plentiful and it’s cheap. To keep up with the demands of a growing global population and further increases in demand for high-protein food, FAO estimates that food production will need to increase by about 60 percent from current levels. Not only because by 2050 the world’s population will reach 9.7 billion people. Also, income levels will be many multiples of what they are now. Under current production models, the increase mainly needs to come from smallholder farmers in developing countries, including the poorest. It’s those people who cultivate about 80% of all arable land and produce most of the world’s food. Farmers produce food. With that, they provide life. But farmers give us even more than that. They make it possible that most people do not have to go out to work in the field to provide some food on the table. To be specific: 92 percent of the world population does not have to work on the farm. From the 7,4 billion people on this planet, 570 million are farmers. And of those 570 million farmers, 475 million work on a farm smaller than 2 hectares. Thanks to those smallholder family farmers we can do other interesting, pleasant and important things. We can fulfill all kinds of other interesting jobs. They provide us the time to take care of our family or other people in need. Thanks to them we can enjoy a movie in the cinema or sports on TV. We can get educated, or we can read an essay about the importance of small-scale family farmers. What this world needs, is SMARTER FARMERS. The importance of small-scale family farmers cannot be overrated. To emphasize their gravity, I repeat: 80 percent of all the food in the world, and almost 100 percent of our healthy food, is produced by small-scale family farmers. But, what this world needs is SMARTER FARMERS. What this world needs is a transition to a policy and behaviour according to a new vision. A vision on development with the small-scale family farmer in the center. A focus that will be shared by international NGO’s, governments and political organisations. What this world needs is SMARTER FARMERS. We need world leaders who have the courage to focus on the empowerment of small-scale farmers through providing them access to independent information. As you see, it’s a triangle. A golden triangle between smallholder farmers, empowerment, and independent information. A triangle with the capacity to reduce all kinds of hunger in the world and the most important forms of poverty. The focus should not be on economics and increasing food quantities through big industrialised agribusinesses but on the smallholder family farmer. On leading subsistence farmers on a path towards sustainable commercial farming. On empowering all family farmers through independent information. With this new focus, not only hunger will be tackled, but other goals as well. Many more. In fact: this approach addresses all 17 sustainable development goals (See part II). This might seem too good to be true. But when things seem too good to be true, it doesn’t mean they can’t be true. 80 percent of all the food in the world is produced by smallholder farmers. Why do I repeat this for the third time? Because you need to realize how this is connected to the almost 1 billion hungry people in the world. Who are those hungry people? About half of the world’s hungry people are from smallholder farming communities, trying to survive on marginal lands prone to natural disasters like drought or flood. 20 percent belongs to landless families depending on farming. Another 10 percent lives in communities whose livelihoods depend on herding, fishing or forest resources. Those figures are from the FAO. They tell us that 80 percent of the hungry people depend directly on some sort of farming. This means: we are talking about the same people! If those hungry farmers would produce a bit more, the whole problem would be solved. Yes. It’s that simple! And it’s possible. The big problem is that farmers are not well educated. Yes, they are educated by their family. They know the conditions of their land and they farm often exactly in the same way as their ancestors did. They, however, have not learned about modern good agricultural practices. They know how to produce, but not about how to increase their production. And this is possible for almost everyone. Most farmers can increase, sometimes even multiply their production, yet without needing many common industrial agricultural inputs. They only need to know how. They need to be educated and informed. What this world needs is SMARTER FARMERS. Let me explain. The triangle I pointed out; the golden triangle between smallholder farmers, empowerment, and independent information, is a complex of three neglected but crucial issues. 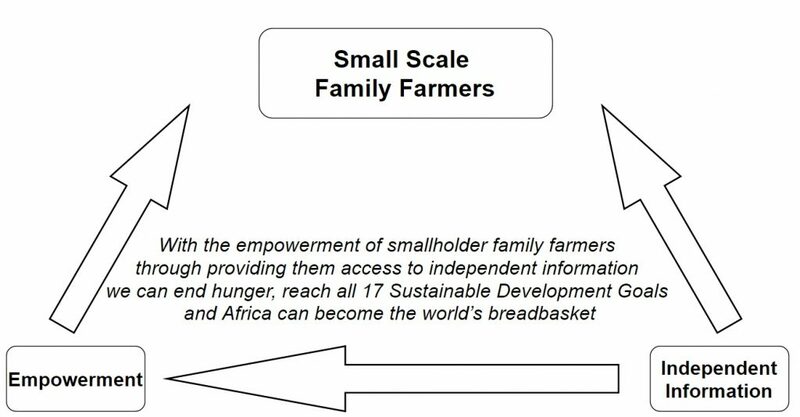 Figure 1: The Golden Triangle between smallholder farmers, empowerment and independent information, is a complex of three neglected but crucial issues. On top of the triangle are the smallholder family farmers. They need to be at the center of every issue when it comes to development. It’s all about empowerment of this enormous group of people. This empowerment can only be achieved by access to independent information, as you can read in the next chapter. What this world needs, is SMARTER FARMERS. It should be clear that information is important. But not just any information will do. The weight of independence and plurality – the impartially and diversity of the information that reaches the farmer is neglected worldwide. Even at the biggest agricultural media houses. Agricultural journalists anywhere in the world are seldom suppressed by oppressive regimes. Journalists who get killed on their job mostly report on politics, war, human rights and corruption. It seems quite safe to cover issues like soil fertility, animal husbandry, and pest control. The simple fact that agricultural journalists are not killed or tortured doesn’t mean they are able to do their job in freedom. They feel the pressure from the ones in power. Those are not in the first place governments, the real power is in the hands of big agricultural multinationals. Let me tell you about one stunning example. Rick Friday, freelance cartoonist at the weekly magazine Farm News in Iowa, USA, lost his job after 21 years of service. It happened in the same week as the World Press Freedom Day. Rick Friday himself had only one comment: ‘I did my research and only submitted the facts in my cartoon’. Friday made the mistake to criticise some of them and mention them by name. Farmers are the most important people in the world. Also for agribusiness. Not because they produce 80 percent of our food. Not because they make it possible for citizens to focus on other things than making sure there’s food on the table. In this economic era, it’s money that makes the world go round. And there’s a lot of money in farming. While 80 percent of the hungry people depend on some form of farming, agriculture is one of the most important, if not the most important economic sectors in the world. To keep up the demands of a growing world population, food production needs to rise by 60 percent by the year 2050. With 75 percent of the world’s poor living in rural areas and depending on agriculture for their incomes, agriculture is the most important economic sector and source of employment in emerging markets . Agriculture is big business. Not for those hungry people, but for the big companies. There’s a huge but hidden predicament in this. This agribusiness wants to sell expensive inputs like machinery, technology, seeds, fertilisers and chemicals. However, these big agricultural multinationals and companies are also in fierce competition. This means they cannot afford to pay the smallholder farmers on the supply end of the production chain a fair price for their products. In fact, the huge number of small-scale family farmers is a big burden for those companies. It’s much more profitable to have big farms that can be driven like a business with revenues that allow farmers to buy their inputs. And which are managed by educated staff, able to calculate complex bookkeeping that goes along with conditions of loans from international banks and to satisfy complex standards for trading food on the world market. Cheap food in the supermarkets is another reason to not pay the farmers a fair price. The only institution that has the legitimate power to demand a fair price for farm products is the government. For the sake of food security, they are even obliged to this. Hunger is seldom related to a shortage of food. Hunger is related to a lack of power of the poor. It’s the government who plays a key role in the prevention of hunger. The government has to establish a decent income policy and a social system that provides access to food. This, however, is a difficult task. For politicians, it’s much easier to leave everything to the free market, which leads to cheap food on the market. All they have to do is give big companies a free hand and they will compete on cheap food. This policy results not just in cheap food, it also leads to food of poor quality, has a negative impact on the environment and means low wages for workers in the food chain and prices for farmers that are not sufficient for a reasonable income. The profit of this regime goes to supermarkets and the rest of the agribusiness. It is of utmost importance for the agribusiness to maintain the status quo. Therefore, companies need to project a positive image towards the consumer and the farmer. They will tell you they work for a sustainable future and on food security. For that story, they spend a lot on PR. Yes, they provide a lot of information to farmers. They spend millions, if not billions on research, which leads to different conclusions. Lots of independent research will be done and paid for by the industry. At the end, they will only publish the results that prove that more profit is made by farmers who invest in intensive, high input farming. At the same time, the money that’s spent on research on alternative farming methods, like organic production, intercropping, permaculture, and other agro-ecological solutions, is very limited. Fixing our agro-food systems based on healthy ecosystems is a fundamental pre-requisite to meeting the Sustainable Development Goals. This, however, is only possible when also media and especially agricultural information that reaches the farmer will acknowledge there is something wrong with the current food system. In this climate, it’s very hard for agricultural journalists to provide items based on independent information. Let me tell you about my own experience. But I am from the Netherlands. Hey! I write whatever I want! I am so bold. But I can afford to be. In 2016 our country ranked number 2 in the World Press Freedom Index. But I have also experienced that an editorial staff totally ruined my story because it was better for relations with the advertisers. And once a company even bluntly acknowledged that they have more expensive lawyers than I could ever afford. Yes. It really happens. Even in a country with the highest rankings of press freedom. Just imagine the information that people receive in the rest of the world. To start with farmers. Did I already mention that they are the most important people in the world? What this world needs, is SMARTER FARMERS. Because of their importance, smallholder farmers should be able to make their own decisions. About farming in the broadest context on their own farm, about soil fertility and how plants grow. About plagues and diseases, about animal husbandry. But they also need a say in how markets and politics work, a say in the decision-making process where they live. Only this will make it possible for them to make the right decisions. I never said farming is easy. The problem with small-scale family farmers is that it’s not one homogenous group. All farmers are different. They have varying capacities and ambitions. They all work in different circumstances regarding climate, weather conditions, access to markets and finance, the availability of resources, access to water, credits and knowledge. Every farmer and every farm is different. Some keep the same animals or crops, but on other soil, on another location with different circumstances, challenges, and possibilities. 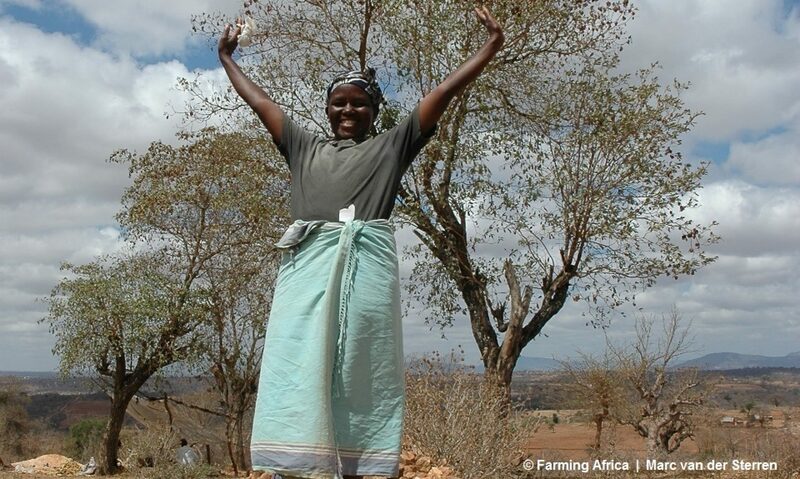 Most farmers in Africa are women. It’s the man who owns the farm, it’s the woman who does most of the labour. Men take care of the cash crops, women are responsible for the households, so it’s them who are responsible for the food that comes on the table. Women do most of the work, without access and control over land and productive resources, and often they are less educated than men. But farming is quite difficult. Therefore this world needs SMARTER FARMERS. Farmers who are capable of making their own choices and forming and sharing their own opinions. Information leads to knowledge. Yes, companies do provide information. Functional information that farmers can use to produce according to the ways the informant told them. This sure does improve the livelihood of many in developing countries. But only independent information will result in empowerment. Independent information makes it possible for a smallholder farmer to choose. It will not be easy, but why should we only present easy solutions to farmers? Are they that much different from educated people who work at governments, NGO’s or big agricultural companies? The fair answer is: Yes they are. The big difference is that they are not educated. So let’s educate them! What this world needs, is SMARTER FARMERS. The question is: why are smallholder farmers not educated? Loads of initiatives from governments, industry and NGO’s are coming towards the small-scale farmers. They all want to provide them with new technologies or methods of industrialized farming. They want to sell them fertilizers and chemicals to protect their crops. Very few, however, are focused on education, information, and empowerment. Why not? The harsh answer is: most people in charge, most politicians, agricultural suppliers, and traders in this world, do not have the slightest interest in sharing power. Yes, they share information with small-scale farmers. Information that takes them to a higher level. Lots of good work has been done here. They inform the farmer on how to increase their production, according to their specific methodology. But very little power has been transferred. Urgent question: does a farmer need power? Urgent answer: a farmer needs power like he needs water. Simply because he needs to be able to make his own decisions, as we saw. Remember what I told you before: every farmer is different. This is why he needs to make his own decisions. Simply because he is the only person who can judge what outcome is best for him. He’s the only person who really knows what opportunities fits him best. With his experience, he’s the only one who really knows what is appropriate for his farm, the conditions of his soil, his animals. Everything that lives on the farm grows because of the farmer. A sustainable farm is only successful through the farmer and through the farmer only. Yes. One can go to a farmer and tell him what to do. One can take samples of his soil; look at the market and check what crops are needed and tell the farmer what and how to farm. And it will often work. But if the farmer doesn’t agree with this kind of farming, it will not last. If the farmer does not have the power to change the way the farming is done, so it suits better to his capacities and circumstances, it will not last. A farmer needs to have the power to make his own decisions. A lack of independent knowledge at farmers level causes a lack of empowerment. The ones in power are not focussed on the small-scale family farmers and certainly not on their empowerment. If smallholder farmers could stand up for their own interests, they can gain more attention; they can make wise, suitable and sustainable decisions for their own farm and eventually they can work on a reversal of (agricultural) policy of governments and agricultural companies. This is why politicians and agricultural suppliers and traders in this world, do not have the slightest interest in sharing power. And this is also the main reason why dictatorial regimes are so keen on controlling their educational systems, controlling the press and sharing the information about what’s really happening in the country. There’s simply no free press in a dictatorial regime because the people in charge are not willing to share their power, just as they are not willing to share their money. Fortunately, more and more rich and mighty people share their money with the poor in developing countries. They fund many beneficial and important projects to provide food, to help the vulnerable people in need, to improve health and build hospitals, even to build juridical systems and educate people. And maybe this last issue is the most important. By spending your money on educating and informing people, you don’t only share money, you also share power with the ones who need it. What this world needs, is SMARTER FARMERS. I met lots of small-scale farmers in Africa. There were many very good entrepreneurs. I came here as a journalist, yet it was the farmers who had a pen and a paper. They were that eager for information. And there is information available. For the literate farmers with money, there are farmer magazines, but there are also radio channels and they share all kinds of information online. But with a close look at the sources, it’s clear that almost all professional information comes from big agricultural companies. From big companies who say they have the same interest as the farmer: If the farmer does well, it’s good for our business. This seems reasonable, but at the same time, they have a conflicting interest that, in the background, may create much more impact. Suppliers want to sell as much as possible at high prices, while farmers benefit from low prices. And purchasers want to buy for low prices while farmers want high prices. This makes perfect sense because they are in the first place economic entities. The interests of the Big Ag always comes first. We cannot let this happen to our farmers. It’s the farmers who are the most important people in the world! Even the United Nations acknowledge this. In may 2016, in China, during a G20 Agriculture Ministers Meeting, Kanayo Nwanze, president of the UN’s International Fund for Agricultural Development (IFAD) spoke: ‘If we abandon smallholder farmers, we abandon our future’. I tell you: We can reach each and every development goal by investing in the empowerment of smallholder farmers through providing them access to independent information. If you take a close look at these goals, which we will do in Part II, we can reach each and every one of them with a focus on the small-scale family farmer. They are the shortcut to ending all sorts of poverty and in tackling climate change. Of course. They are the most important people in the world! What this world needs, is SMARTER FARMERS. It might be clear by now: With a focus on the empowerment of small-scale farmers, we reach each and every sustainable development goal. There’s only one goal missing. I would like to add SDG 18: ‘Access to Independent and Pluriform Information for Everyone’. When people are provided with independent information, education, and knowledge, it will empower them, as we have seen. When small-scale farmers are educated, they no longer need to be told what to decide. They will have the opportunity to make their own decisions, based on fair and independent information. This New SDG reaches all farmers, but also other people in need like poor and hungry people. It reaches whole communities, amongst which the rural communities who depend on farming and on trading, processing or transporting farm products. For agricultural companies, this new focus means they need to change their attitude, their mission, vision, and strategy. It will not be easy because it might be less efficient for the agricultural system they are used to. But it is necessary. So it is especially a task for world leaders and governmental institutions. For them, this focus asks a lot of courage, for those people in charge need to share their power with a big part of the population. For many African leaders, it means they need to share their power with about eighty percent of the citizenry. However, the only way to develop a country is to develop its citizens. It will not be a big effort for leaders to understand the importance of another mindset, it will, however, take a lot of courage for them to implement this new vision in their governance. So that’s why I not only want to urge world leaders to focus on the empowerment of small-scale farmers in developing countries, through independent information sharing. I most of all wish them a lot of strength, courage, and generosity to actually implement this focus in their daily decision making. If the world would invest in smallholder family farmers, as is made clear by the United Nations, they should focus on the empowerment of small-scale farmers by providing them access to independent information. Because what this world needs is SMARTER FARMERS. On 1 January 2016, the United Nations ratified 17 sustainable development goals. Over the next fifteen years, these new goals that universally apply to all countries will mobilize efforts to end all forms of poverty, fight inequalities and tackle climate change, while ensuring that no one is left behind. As said, I believe we can reach all 17 goals when we focus on the empowerment of small-scale farmers by providing them access to independent information. In this part, I will present you the 17 SDG’s, which are derived from the official UNDP-website. Next to these goals and the official explanation, you will learn how these goals can be reached through a focus on empowerment of small-scale family farmers. Which can be reached through providing smallholder family farmers independent information. The largest segment of the world’s poor consists of women, children, and men who live in rural environments. These are the subsistence farmers and herders, the fishers and migrant workers, the artisans and indigenous peoples whose daily struggles seldom capture world attention. More than 70 percent of Africa’s poor people live in rural areas and depend on agriculture for food and livelihood. In Asia, this number is even higher. In Sub-Saharan Africa, more than 218 million people live in extreme poverty. Yet development assistance for agriculture is decreasing. Agriculture, and particularly subsistence agriculture, are the main economic drivers of the livelihoods of most poor rural households in developing countries. Many of them live in places where markets do not function well or are even totally absent. This keeps them from agricultural inputs and outputs, labour, and other goods and services such as credit and insurance. The main asset that’s lacking is knowledge. If those farmers are informed well and through this are capable of making wise decisions, they can increase their own production. Most farmers can increase, often multiply their production, even without using many inputs from the agricultural industry. They only need to know how. They need to be educated and informed. This world needs SMARTER FARMERS. Hunger is where the poor people are. The world counts 795 million hungry people. 98 percent of them live in developing countries. 80 percent of the hungry depend directly on farming. To be specific: About 50 percent of the hungry people live in smallholder farming communities, trying to survive on marginal lands prone to natural disasters like drought or flood. Another 20 percent belongs to landless families depending on farming. Another 10 percent lives in communities living on herding, fishing or forest resources. To combat poverty, the most efficient way is to focus on the biggest part of poor people, being the ones living in the developing world, in rural areas, depending on farming activities. The focus should be especially on subsistence farmers. When they become more entrepreneurial, not only hunger but also poverty can be eradicated. The amount of land should not be an issue. Africa has 60 percent of the world’s uncultivated arable crop land. The need to develop this land might not be necessary, as smallholder farmers can increase, sometimes multiply their yields. Even in a sustainable, agroecological way. What they need to reach this is know-how. What this world needs is SMARTER FARMERS. The biggest challenge in human health is malnutrition. In rural areas, this problem is even bigger than hunger itself. Small-scale farmers and farm workers who produce primarily for export chains usually get enough calories, but the shortage of vitamins and minerals is catastrophic. If the income of small-scale farmers goes up, the rest will follow, was the general hypothesis. Food production and taking care of health issues seems not to be obvious. Efforts need to be done, not only to produce enough agricultural products for an income, also producing enough food for the farmers and their family is an important goal. And with this, it’s of utmost importance to produce healthy food. Many inhabitants of rural areas are not aware of the nutritional qualities of fruits and vegetables. What those people need is a different mindset about food. People need education. When they are educated, they will be aware of the importance of other health issues, beyond food quality and they will become aware of hygiene and the many different diseases and how to prevent them. What’s needed is education and access to independent information. This world needs SMARTER FARMERS. If one should point at a target group of people who need quality education, one should take the biggest group and the group of people who needs it most, being the poor and hungry. This automatically leads to smallholder family communities. This world needs SMARTER FARMERS. This does not mean they need to be educated on technical skills only or information about new innovations, or the use of fertilizers and chemicals. That’s the easy part. Education is crucial to gain knowledge and awareness. All information they gain, whether it comes from education, media, extension officers or in any other form, should be independent, pluriform and transparent in its sources. Knowledge is more than knowing facts. It’s the possibility to make wise decisions based on different sources. It’s knowing where the information comes from and what interests are with the one who provides the information. This means all farmers need to be informed about the alternative ways of farming but also about the world beyond farming. About the access to the market. 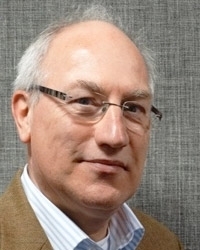 About financial possibilities and risks, about the market and about the ways society works. About democracy, government and the rule of law. 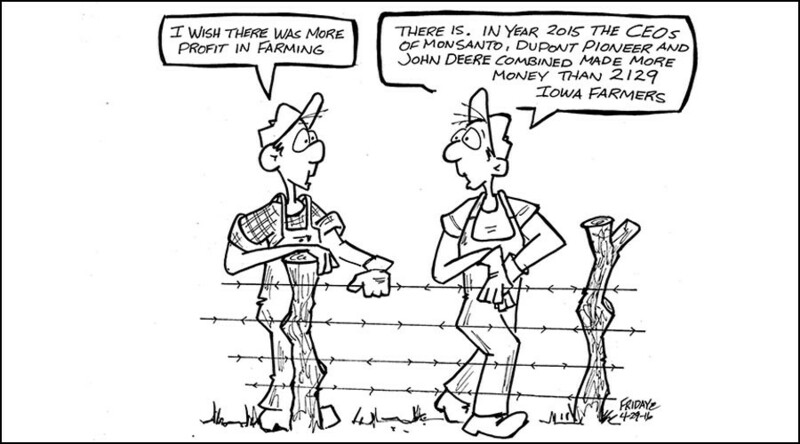 And about the way agribusiness makes profit. So when one speaks of quality education, one speaks about independent information. Only with independent information, people can gain empowerment. What this world needs is SMARTER FARMERS. Ending all forms of discrimination against women and girls is not only a basic human right but it also crucial to accelerating sustainable development. It has been proven time and again, that empowering women and girls has a multiplier effect, and helps drive up economic growth and development across the board. If we refer to a farmer, we talk about ‘him’. This is nothing more than a linguistic habit. In reality, it would be better to refer to a farmer as ‘her’, because it’s women farmers who play a central role in achieving food and nutrition security in farming. On average, women comprise 43% of the agricultural labour force in developing countries and account for an estimated two-thirds of the world’s 600 million poor livestock keepers. Men mainly take care of the cash crops, women are responsible for the households, so it’s the latter who produce the food for their family. Despite this, women receive only a fraction of the land, credit, inputs such as improved seeds and fertilizers, agricultural training and information compared to men. A focus on empowering farmers means empowering women. This world needs smarter women. This world needs SMARTER FARMERS. The single largest user of freshwater resources is agriculture. Agricultural activities account for around 70% of all water used in the world today. Farmers are not only victim, but also cause of water pollution. Agriculture is a major source of water contamination. Agricultural fertiliser runoff, pesticide use, and livestock effluents all contribute to the pollution of waterways and groundwater. It’s not subsistence farmers who use too much manure and have access to pesticides. The most agrochemicals and fertilizers are used by big industrial farms. Inadequate use of chemical pesticides often comes from medium-scale farmers. Farmers need to be aware of the dangers and the effects of polluting the water and the environment. They need to be informed about the proper use of chemicals and nutrients. They also need to know about other farming methods, which don’t make use of chemicals and artificial fertilizers. This world needs SMARTER FARMERS. The agricultural and food sector consumes about 30 percent of the global energy. Primary agriculture consumes only about 20 percent . The use of fossil fuels by agriculture has increased significantly over the last few decades. These fossil fuels have contributed to increased farm mechanization, boosted fertilizer production and improved food processing and transportation. If an inexpensive supply of fossil fuels, however, becomes unavailable in the future, options for increasing food productivity according to the current mainstream industrialised farming system, may become severely limited. Research in alternative farming methods becomes more urgent every day. Today’s farmers need to become aware of those alternative farming methods that use fewer inputs. Alternative systems that may be brand new and make use of the latest innovations, combined with traditional farming systems. All farmers are able to implement at least part of those alternative methods in their farm, without producing less. All they need is knowledge. This world needs SMARTER FARMERS. Over the past 25 years, the number of workers living in extreme poverty has declined dramatically, despite the lasting impact of the 2008 economic crisis and global recession. In developing countries, the middle class now makes up more than 34 percent of total employment – a number that has almost tripled between 1991 and 2015. Most workers of these regions are self-employment or do unpaid family work, especially subsistence farming. Most of them don’t enter formal wage employment. Agriculture is a stable employer. In rural economies, economic downturns tend to have only a limited impact on overall employment. Farming is not only about food production, it’s also about processing, about transportation and trade. Farmers employ farm workers for harvesting and nurturing their crops and animals, but they also make use of veterinarians, feed companies, seed distributors, milk processing plants and anything related to this. When smallholder farmers are able to produce more food and more quality food, it not only provides more income and healthy food for themselves, it provides more jobs and more opportunities for the whole community in rural areas. This world needs SMARTER FARMERS. Industry, innovation, and infrastructure is what’s needed in rural areas. As we saw with SDG 8, whole communities benefit when farmers improve their production. To support farmers, new technologies may be needed like precision farming and data about weather patterns, upcoming pests and plagues and market information through the internet. Investing in industry, innovation, and infrastructure might be more sustainable when the focus is on rural areas, as it diminishes the pressure on cities, as we will see in SDG 11. For a sustainable future food chain, scientific research and innovation are crucial to enhance alternative sustainable farming systems. Farmers in their turn need to be able to implement new technologies in their farm and alternative farming systems like intercropping, agroforestry and organic pest-control. Farmers need to be able to work with those new technologies. What this world needs is SMARTER FARMERS. Farmers were the major players in food until the second world war. This ended in the middle of the 20th century. Food processing and retailing giants took over the power. From that point, manufacturers extracted more than the farmers out of the food production cycle. Just 100 firms now account for 80% of all added value. Very little is left for the farmer. Many subsistence farmers still do not make any money at all. They produce only for their own livelihood. When money is made, it is too little to contribute their own development. Farmers can and should produce more. And above that, they should earn more. What they need is join forces and gain power. Empowerment can only be reached through independent information and education. This world needs SMARTER FARMERS. The world undergoes the largest wave of urban growth in history. Since 2008 more than half of the world population lives in cities. This urbanization will unfold for an important part of Africa and Asia, which brings huge social, economic and environmental transformations. Urbanisation is a trend, which doesn’t mean it’s immutable. We might not halt this, but we can slow this down with making rural areas more attractive than cities. Accessible, safe, and economically profitable farming communities will ease the pressure on growing cities. To keep up the demands of a growing world population, food production should rise by 60 percent by the year 2050. But the number of farmers will not grow, given the average age of 60. It’s an average as well in developed as in undeveloped countries. Even in Africa, where 60 percent of Africa’s population is under 24 years of age, the average age of farmers is also about 60. Young people don’t see a future in farming, but it’s a sector where lots of money can be made. With growing cities and a growing middle class, the demand for quality food is rising. Farming is not only becoming more profitable, it also becomes more interesting for young people, as new technologies and new farming methods are implemented. Whole communities of smallholder family farmers are unaware of the great opportunities that farming can offer them. They need to become aware. They need to be enlightened with independent information. This world needs SMARTER FARMERS. Climate, nature and ecological values are becoming more important to worldwide communities everywhere in the world. Not only in Western cities, also in developing countries consumers become aware of the importance of the way their food on the table is produced. Chemical pesticides and fertilizers can harm the environment as well as human health. The production of them costs a lot of fossil fuels. The use of those products is an easy way to give production a boost. On the long run, the continued use of chemical inputs can deplete the soil. Above this, the use of inputs means a risk for the farmer, who needs to invest in them, while he still depends on weather conditions for his yield and on the situation on the market for his income. This way of farming that’s still promoted by big agricultural companies is not sustainable. Big Ag always points at food security and the rising population and insists more agrochemicals are needed. But they are not. All kinds of new agro-ecological farming systems become more popular. Sustainable systems that work with-, instead of against nature. Agroecological farming combines organic farming, sustainable land management, water harvesting, agroforestry, biological control of pests and weeds, permaculture, composting, intercropping, and several others. Agro-ecological ways of farming are not easy. But farmers who changed their system from the prevailing systems to an agroecological farming system are very content. They feel they are in control. They see what’s happening, work together with nature and are better professionals. Those kinds of farming do not lead to lower production results. Agro-ecological production systems fit better to smallholder farmers than for big plantation farms or industrial farming. They will cost less expensive and harmful inputs; however, they ask more labour and more expertise. What this world needs is SMARTER FARMERS. There is no country in the world that is not experiencing first-hand the drastic effects of climate change. Greenhouse gas emissions continue to rise, and are now more than 50 percent higher than their 1990 level. Further, global warming is causing long-lasting changes to our climate system, which threatens irreversible consequences if we do not take action now. Agriculture, including forestry, fisheries and livestock production, generates around a fifth of the world’s greenhouse gas emissions. Agriculture must both contribute more to combating climate change while revitalise to overcome its impacts. Developing countries are home to around half a billion smallholder farm families who produce food and other agricultural products in greatly varying agro-ecological and socio-economic conditions. According to FAO Director-General José Graziano da Silva, solutions have to be tailored to those conditions; there is no one-size-fits-all fix. Solutions will only be accepted and implemented by smallholder farmer communities if they understand the importance of those solutions if they are advised independently and if they are provided with a range of different solutions, so they can choose what system to apply in their farms and everyday life. This world needs SMARTER FARMERS. The world’s oceans – their temperature, chemistry, currents and life – drive global systems that make the Earth habitable for humankind. How we manage this vital resource is essential for humanity as a whole, and to counterbalance the effects of climate change. The demand for protein-rich food like meat, but also fish is increasing. Aquaculture production will need to more than double between now and 2050 to meet the demands. The depletion of fisheries poses a major threat to the food supply of millions of people. Aquaculture – the farming and stocking of aquatic organisms including fish, mollusks, crustaceans and aquatic plants – is growing more rapidly than all other animal food-producing sectors. Farming fish can prevent oceans from overfishing. However, to feed some kinds of fish, like salmon, fish-based feed is required. In this way, fish farming can be as harmful as fisheries. There are several strategies that can lessen aquaculture’s environmental impacts while also ensuring that fish farming provides employment and nutritious food to millions more people. This again requires a lot of knowledge. What this world needs is SMARTER FARMERS. As sustainable farming can contribute to life below water, so can sustainable farming contribute to life on land. And it should. As nature is the origin of all our agricultural products. So for farmers as well as for consumers, it’s of utmost importance to protect sustainable ecosystems. Unprecedented land degradation and the loss of arable land at 30 to 35 times the historical rate affects our food security, as well as drought and desertification. If there is one who benefits directly from conserving and restoring the use of terrestrial ecosystems; if there is one who can contribute to this, it will be farmers and smallholder family farmer communities. Farmers need to farm sustainably and farm efficiently as well, in order to keep on increasing food production, without claiming more land from nature. Moreover: sustainable farming methods like agroecology are the only safe way to increase food production and alleviate food insecurity in the areas where it is most needed and in the context of climate change. This because of the strong relationship between soil health and food security. The FAO calls for strategic and immediate actions. Small-scale family farmers need to know how to farm in a natural way without harming those ecosystems. What this world needs is SMARTER FARMERS. Without peace, stability, human rights and effective governance, based on the rule of law – we cannot hope for sustainable development. We are living in a world that is increasingly divided. Some regions enjoy sustained levels of peace, security and prosperity, while others fall into seemingly endless cycles of conflict and violence. This is by no means inevitable and must be addressed. Peace and justice can only be reached when the whole community is involved. In communities without oppression. In communities where all kinds of people can join in governing their community and even their country. This means farmers need to be educated and informed not only about farming issues but also about the way the market is organised and the way a country and a community works. They need to be involved in decision-making on all levels. Only this empowerment of smallholder family farmer communities can sustainably change the situation they live in. For example, only educated women farmers can change such thing as ownership and land rights. Only educated farmers can join forces and form a cooperative organisation to manage market forces. And if there’s anything farming communities need when they see themselves confronted with governments or big industrial or agricultural companies claiming their land, there’s one thing they need: power. Power which can only be obtained by independent information and education. What this world needs is SMARTER FARMERS. Farmers are the most important people in the world. Besides that, they also make up an important part of the population. One-third of the economically active population obtains its livelihood from agriculture. Family farming makes up the majority of agricultural production in sub-Saharan Africa, where approximately 33 million farms in the region, or 80 percent of all farms, are smallholder farmers, measuring less than two hectares in size. Partnership and cooperation can and will not be achieved when this vast majority of people will be overlooked. Especially because this majority has the most important task of everyone: they provide food. In all kinds of approaches towards achieving the SDG’s; when it comes to combating conflicts or natural disasters; to spending financial resources and aid; to Improving access to technology and knowledge and fostering innovations; when it comes to coordinating policies to help developing countries manage their debt, as well as promoting investment for the least developed – the smallholder family farmer should not be forgotten. What everyone should strive for is the empowerment of small-scale family farmers through access to independent information. SMARTER FARMERS produce more food of better quality, which ends different forms of poverty (SDG1), which ends hunger (SDG2) and which improves good health (SDG3). As most of the farm labour is done by woman, a focus on empowering smallholder family farmers will naturally encourage gender equality (SDG5). After all, empowering smallholder farmers, means empowering woman by providing them access to education, land and other resources. Small-scale farmers are vulnerable to a changing climate, but also partly responsible for it. This also goes for clean water and sanitation (SDG6), affordable and clean energy (SDG7) and for responsible production and consumption. With all these issues, the smallholder farmer is in the centre. It works on both ways: the farmers need them, but are also responsible for them. This also goes for life in the water (SDG14) and life on land (SDG15): Farmers are responsible for a clean environment, but are also in need for all that lives on this planet, to produce sustainable and healthy food. With better conditions, small-scale farmers can produce more, which leads to sustainable rural communities with decent work and economic growth (SDG8). More production in rural areas provides the necessity but also the economic needs for improving industry, innovation and infrastructure (SDG9) in the countryside. A better economy in rural areas means less poverty and with this less inequalities (SDG10). More economically sustainable rural areas means less pressure on growing cities, so they can focus on the living standards within the city and their sustainability (SDG11). Farmers make up an enormous part of the population. When smallholder family farmer communities are sustainable and economically attractive it will lead to less conflicts (SDG16). What’s needed is strong institutions in which a large part of the population is actively involved (SDG17). What those farmers need is quality education (SDG4). Quality education is independent. But they need more than quality education only. All the information they receive in any form, whether it is provided by schools or any other educational institution; whether it comes from extension officers or from media, it all has to be independent and pluriform – impartial and diverse. What those farmers need is SDG 18, as described in chapter 7, page 39. Only independent information and education enlightens communities and makes them capable in taking their own wise decisions. This world needs SMARTER FARMERS. As you know, this is an interactive essay. Please join Smarter Farmers, leave your comment and contribute to the discussion and our mission: to empower smallholder family farmers through providing them access to independent information.